It’s estimated that 9.6 million baby boomers are in Canada today and they have long been the segment which garners the most attention. There is, however, another demographic just as big than the Boomers: the “Millennials” ( or “Gen Y’s”). This group has not been clearly defined yet, with no standard criteria for categorizing them. They are born anywhere from the early 1980’s to the early 2000’s. 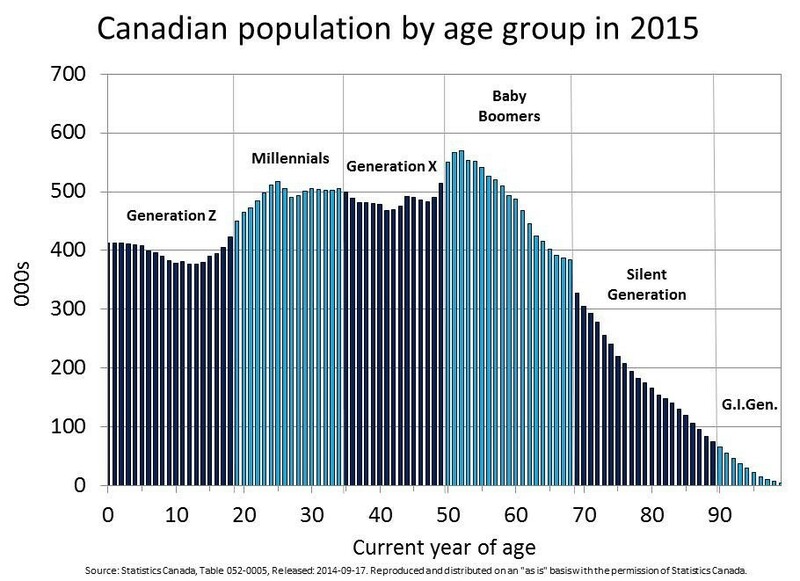 This age bracket has as many as 7 million to 9.1 million people living in Canada – a huge demographic with a huge influence on trends. Millennial housing demand is growing as they look to buy their first homes, especially in Toronto and Vancouver. They have the potential to be the biggest home buying group in history — even bigger than their baby boomer parents. According to CREA, the Baby Boomers (the majority of whom are in their 50s) are out of their move-up years, but still a long way from downsizing the family home. A large chunk of the housing stock remains occupied by Boomers who will likely be keeping their home off the market for some time to come. For now, it’s members of the Greatest and Silent generations (people over 70) who are most likely downsizing.